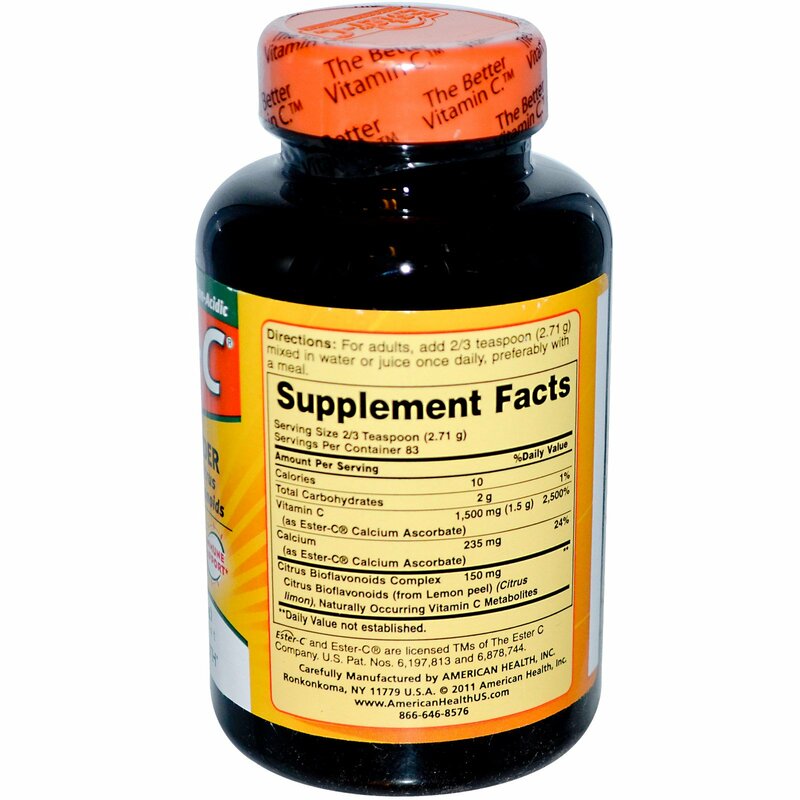 Ester-C is a breakthrough patented Vitamin C formula supported with naturally occurring metabolites. Metabolites help enhance the absorption of Vitamin C by your white blood cells, an important part of your immune system. 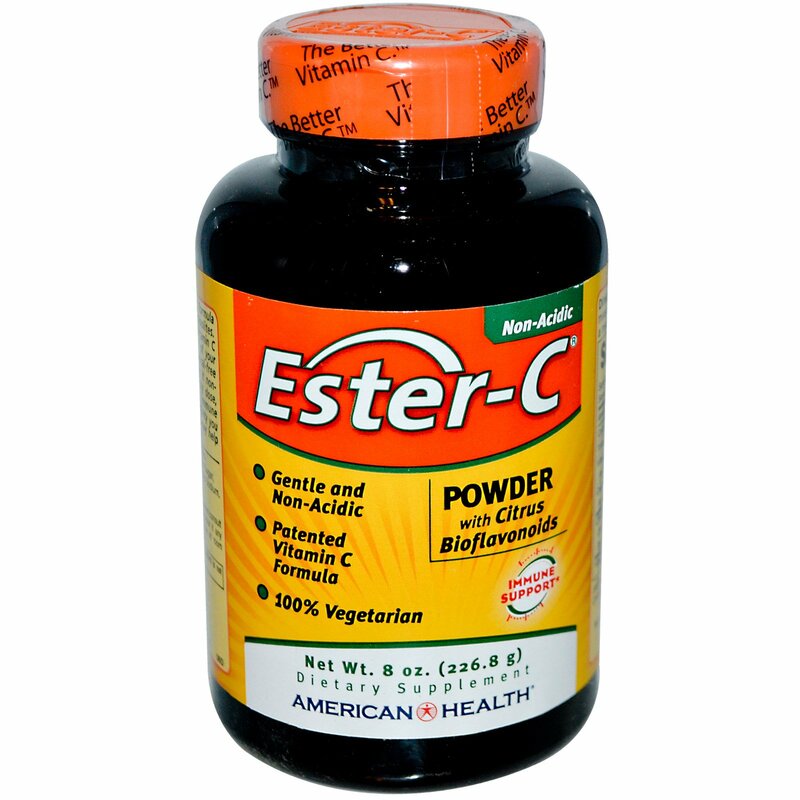 Ester-C's unique, chemical-free manufacturing process neutralizes pH, making it non-acidic and gentle on the stomach. In a daily dose, Ester-C delivers the advanced active immune system support and the potent antioxidant activity you can depend on. Added Citrus Bioflavonoids may help your body better absorb and utilize Vitamin C.
For adults, add 2/3 teaspoon (2.71 g) mixed in water or juice once daily, preferably with a meal. No gluten, no yeast, no wheat, no milk or milk derivatives, no lactose, no soy, no egg, no corn, no grapefruit, no sugar, no preservatives, no artificial color, no artificial flavor, no sodium. If you are pregnant, nursing or taking any medications consult your doctor before use. Discontinue use and consult your doctor if any adverse reactions occur. Keep out of reach of children. Store at room temperature. Do not use if seal under cap is broken or missing.